Highly recommended by Japanese and Taiwanese Beauty & Fashion TV Programme and by many stylists! Special design and shape to create cleavage and give even better support. Perfect for wedding gown/dinner gown/tube dress/top with low cut deep v.
It's easy to wear. 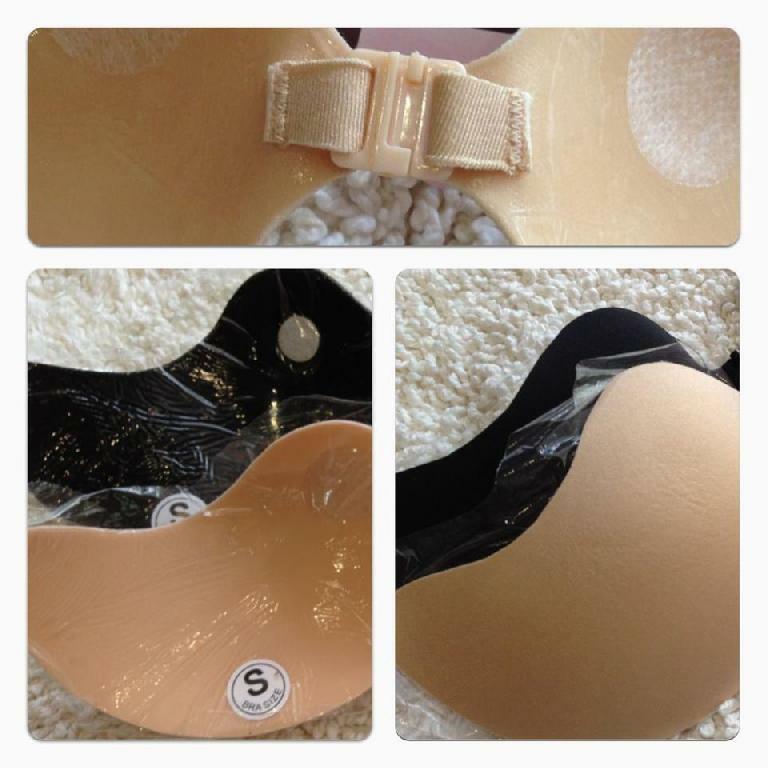 Same method with airy bra. Just need to make sure around breasts area is FREE of lotion, oil, sweat and powder. Important when wearing your V Bra. Please read! 1. Do not apply when body is still sweating. 2. Make sure breast area is completely clean and dry before apply. 3. DO NOT APPLY body lotion, oil or powder on upper body before apply. As they will affect the adhesiveness and after wear result. 4. Using rich moisturising body shampoo will affect wearing result too. 5. Wash bra after each use. Use with soap inside/outside and rinse thoroughly, let dries indoor avoid sunlight. 6. 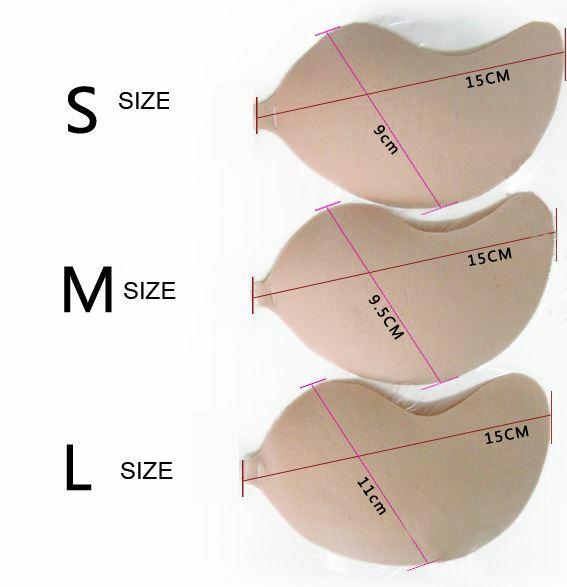 When bra completely dry, stick back the plastic film to protect it from dust.